Ada soalan mengenai Villa Lafayette Paris IX? Direka untuk kedua-dua tujuan perniagaan dan percutian, Villa Lafayette Paris IX terletak di lokasi strategik di 9th - Opera; salah satu kawasan yang paling popular di bandar tersebut. Dari sini, tetamu boleh menikmati akses mudah kepada semua yang bandar meriah ini boleh tawarkan. Tidak kurang hebat adalah akses mudah hotel untuk ke pelbagai daya tarikan dan mercu tanda bandar, seperti Confiserie d'Or, Aromes 9 Cave a Champagne, Muzium Musee de la Franc-Maconnerie. Villa Lafayette Paris IX juga menawarkan banyak kemudahan untuk memperkayakan penginapan anda di Paris. Untuk keselesaan dan kemudahan tetamu, hotel ini menawarkan khidmat bilik 24 jam, Wi-Fi percuma semua bilik, meja depan 24 jam, daftar masuk/daftar keluar ekspres, simpanan bagasi. Alami bilik dengan kemudahan berkualiti tinggi sepanjang anda menginap di sini. Sebahagian bilik menyediakan televisyen skrin rata, linen, tuala, penyaman udara, pemanas untuk memudahkan tetamu berehat dan kembali bertenaga. Di samping itu, pihak hotel menawarkan aktiviti rekreasi untuk memastikan anda mempunyai perkara untuk dilakukan sepanjang penginapan anda. 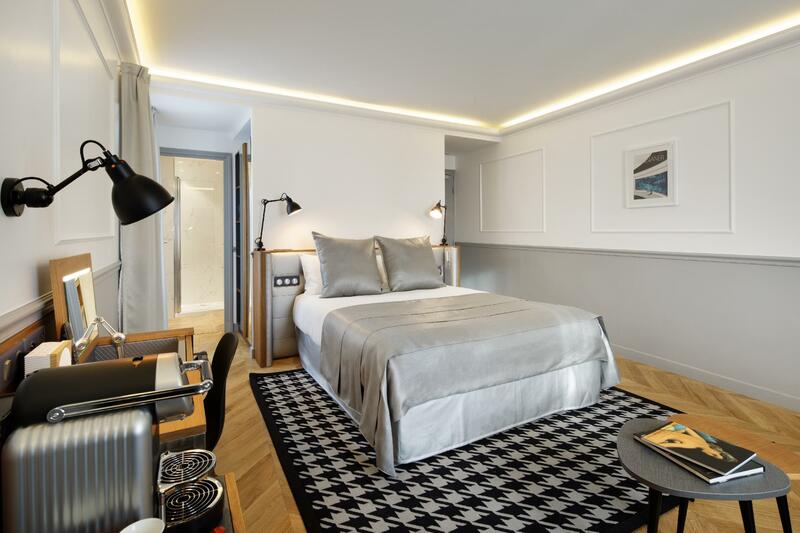 Villa Lafayette Paris IX adalah destinasi sehenti anda bagi penginapan hotel berkualiti di Paris. i spent 2 nights at hotel. the location is good, several restaurants and shops around but all depends where you want to go. metro station also close by. the breakfast, if not included, is 10 euro and is good and complete. rooms are small, all a bit different, but you have all you need for the price. bathroom small too but again, ok for the price. there is heather and ac for each season and at night, even if central, it was very calm and i had a good nite sleep. This hotel is great for people on a tight budget. 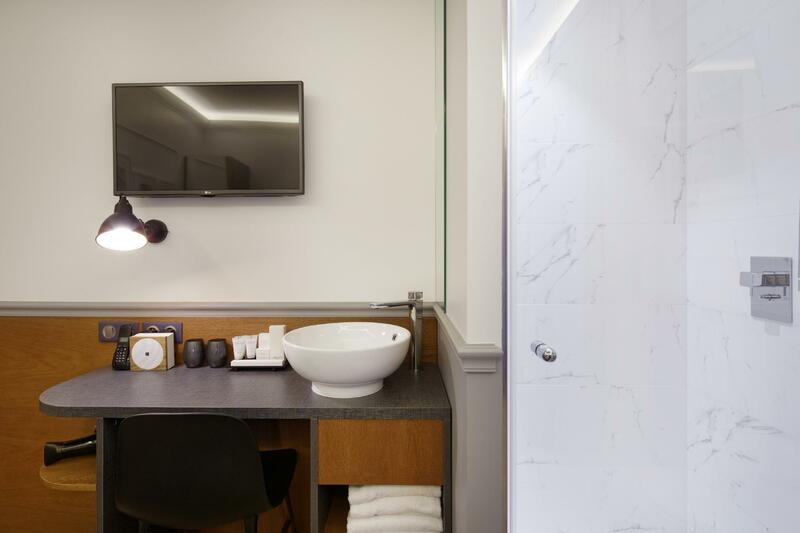 If you're only getting a hotel to sleep in at night because you'll be around the city all day, this hotel is for you. 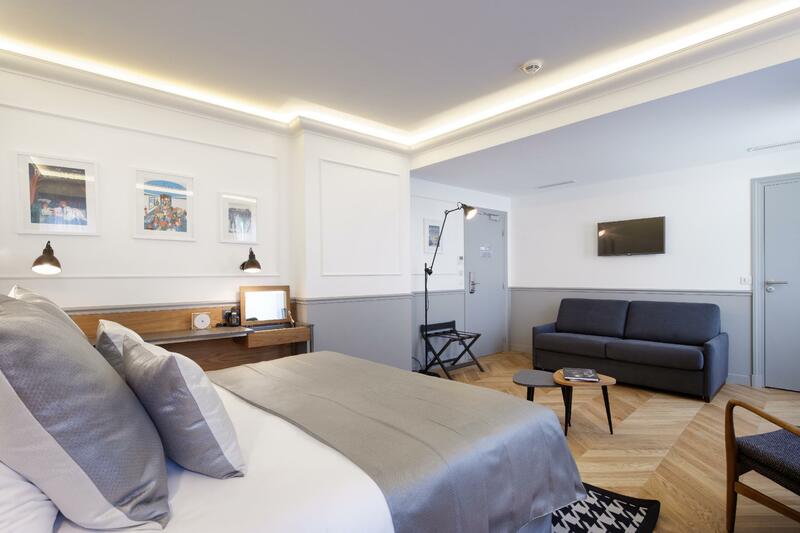 Rooms are clean and amenities inside are sufficient, they're small but that's typical of Paris hotels. Service is good enough too, they're friendly and helpful. I love the fact that it's just a few minutes walk to the metro and restaurants are all over. The only thing I don't like about the hotel is the elevator. The elevator is so small it can only fit 1 person with a huge luggage and takes a long time to get to you so if you're in a hurry you might as well take the stairs. Walking distance to Metro - Cadet. Less than 5 minutes walk. The room is very nice. There's a small lift fit for 2 person. Or one person with a few big luggage. There's pc that you could put coins in to surf the net. The rooms have WIFI! The concierge is very helpful. This hotel was recently renovated (within the past year or so) and the hotel rooms are very nice. Bigger than your typical Parisian hotel room. Believe it or not, I even had room to do a mini-workout in the morning. The room, as well as the hotel, is very clean and well taken care of. You even have a refrigerator inside the room. Really liked the hardwood floors. That was a nice touch. The breakfast is excellent and the staff are very friendly and helpful. On the con side, the closet is incredibly small and so is the bathroom. The shower didn't really have any spots to place shampoo/conditioner/soap so I had to leave it out on the sink countertop and grab it when needed. Other than the floor, there really isn't another spot that's ideal. Overall though, this hotel worked out very well for my family and I, and we would definitely stay here again. 4 stars. the rest really Bad internet connection! Tidy bathroom! even a small size Asian like me cannot take it! You can detect wifi signal but only can connect during early morning or late at night! Holiday Villa sound like a chain hotel but even the reception didn't wear a uniform. The worst thing is, their only give a bottle of all-in-one body wash, shampoo and hair conditional! When we arrived we did not have small change to pay the cab, we asked front office if we could change our money but he said no. The restaurant staff was much nicer. When we wanted to book the airport shuttle the front desk had change for us. Apart from the above, the hotel has the smallest lift I have ever used. The rooms were ok for the price I guess in Paris. But I don't think we will stay in this hotel again. We stayed two nights at the hotel. 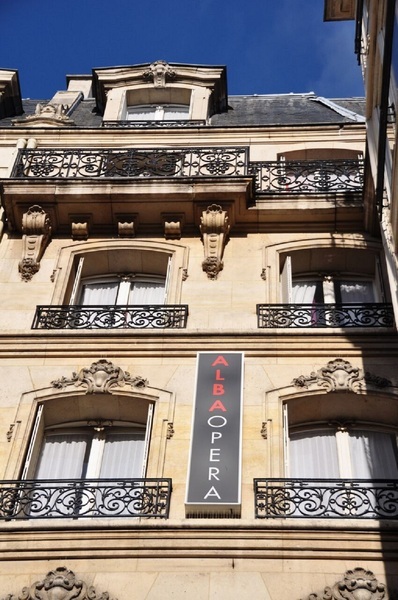 Hotel was near to metro station ( Cadet station, Line 7 )and very convenient to move around the city of Paris. Walking distances to either Grand Lafayette or Gare Du Nord station ( about 20 to 30 mins walk ). Several cafes ( eg Starbuck, McDonalds ) and groceries store available nearby and thus very convenient. Free wifi, and for Asian foods esp Malaysian foods, the hotel restaurant was quite nice. Very helpful and friendly staffs ( front desk, as well as the restaurant staffs ). The rooms quite small ( esp next to the lift ), but that's quite common in center of Paris, but maybe a concern to some people. Overall, good value for money in considering the price offered by Agoda. friendly staff,location and clean decent size rooms. My husband and I enjoyed our stay at Hotel. We were lucky ,due to non peak period we got a bigger room. Infact I stayed earlier in May with a friend in the normal room and we are happy. Location wise and the in house Malaysian restaurant was convenient. We are Malaysians! Great room with friendly staff. Halal food within hotel premise and a few more within walking distance. Gallery Lafayette's is 15 mins away. I love this hotel. The room was spacious and clean. There's also Wifi in the room (quite fast). The staff was friendly and nice. We opted to hire airport transfer with the hotel. We paid €19 euro per person so that was very convenient. It is close to an underground station (Cadet- pink line). Convenient as we got around only using public transport. The best thing of course if you are into shopping the famed gallery Lafayette is a 15mins walk. If you are not into walking, you can take the train and alighted 2 stations away. You get out and voila - its the shopping haven. Beware though as the gallery will close on Sunday. 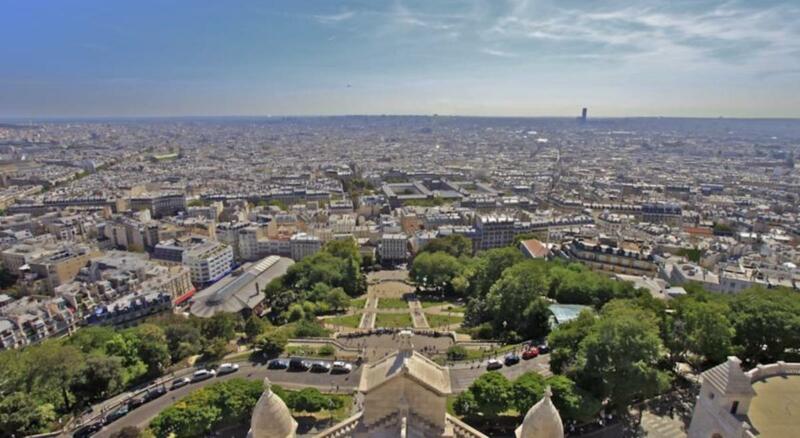 You can also take the underground to go to Eiffel Tower, champs des élysées anywhere in the city. Very convenient. Friendly staff and free wi-fi is a big plus. Do not expect 5-star but staff friendly and very helpful when you need help. Easy access to good variety of food and 3 min walk to subway. Rooms small but provides all amenities that a traveller needs. For anyone that is reading this comment, please don't bother to continue to read. The hotel is so small and dirty. I usually do not mind such a hotel but at the price I am paying, this is really ridiculous. I am paying 3 to 4 star price for such 1 to 2 star room. Anyway, the only comfort I have is the friendly staff at the reception. The Chinese restaurant next to it across the road is not bad. The other restaurant that we think is great is the one opposite the louvre with a name of le fumoir. Everything was decent, they have a malaysian restaurant. But there's renovation during my stay, and i couldn't sleep well in the day. Internet access was really poor, barely make it for SKYPE video. Front desk service was really bad, especially this older guy. Considering we had read other reviews before choosing this hotel, we were expecting this to be around the 3 star range - clean and comfortable albeit on the small side - which it was. Staff were very helpful and friendly upon check in, and willing to assist with any problems. Location is good too - 5 mins away from the Cadet metro station and takes around 15 - 20 mins to walk to Galeris Lafayette and main shopping area. Clean enough, space is good. The whole room and space i stayed for 7 nights was good enough i believed. But if i was a business traveller, i will not recommend this place as the WiFi can kill you. Its unreliable. The services? there was only 2 good ones, those that are on night shifts. The day shift ones, "spare me". They don't change your toiletries, only one set, from the day you move in. 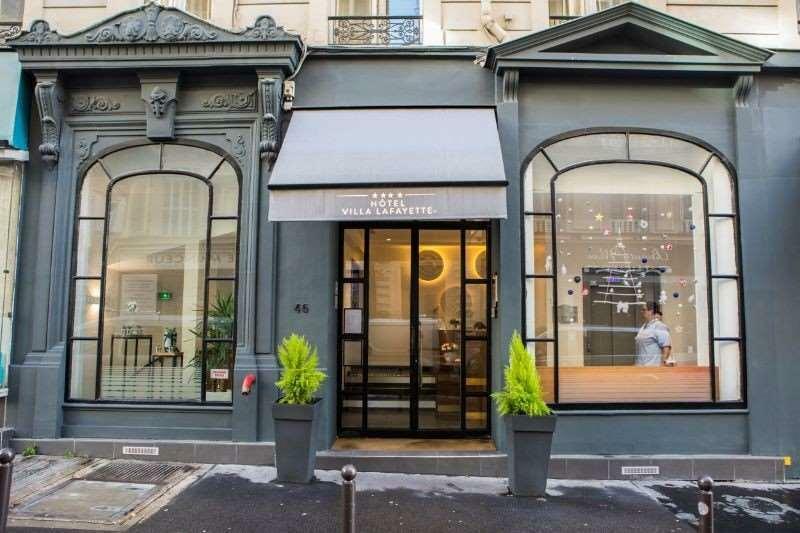 walking distance to Galleries La Fayette, 12-15mins. 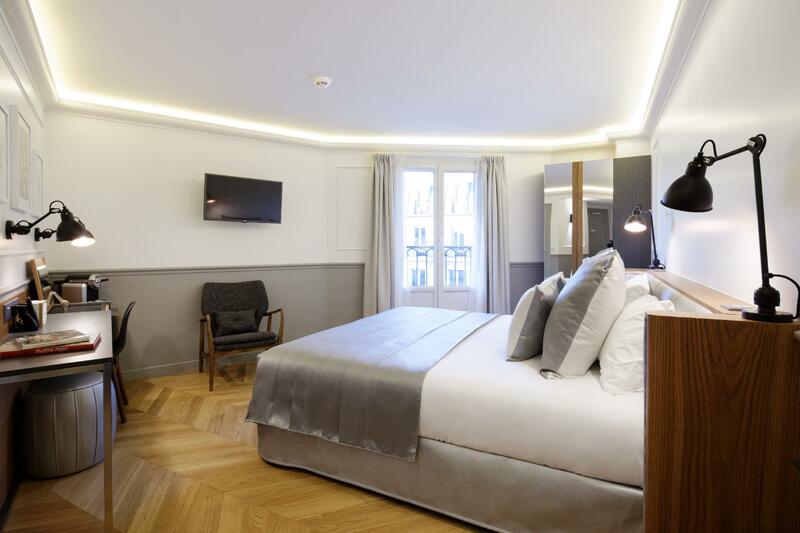 Holiday Villa Lafayette Paris is good for traveler that prepared to used metro for sight-seeing in Paris. Compact size of room compare to the distant of walk to the metro is quite acceptable. Room condition is clean and comfort close to a lot of restaurant. Hotel staff is friendly and very supportive. The location was good and the room was lovely, but this was a self service hotel so there was no reception. So when we checked out there was no place to store out luggages. In the end we have to get a taxi and put our luggages to the main office. good hotel and looking forward for another stay. The fast internet connection, near Cadet metro make very easy to go to any part of the city.